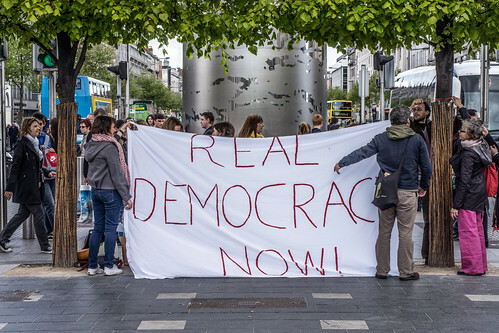 THE REAL STREETS OF DUBLIN: 12M15M Global Day Of Action (Dublin Spire) - Were You There? 12M15M Global Day Of Action (Dublin Spire) - Were You There? 12M15M Global Day Of Action (Dublin Spire) - Were You There?, originally uploaded by infomatique. On the 15th of May 2011, millions of people started a process of social change, sending a clear message that we are not the property of politicians and bankers. As you can see from my photographs the action at the Spire in O'Connell Street was very family friendly and good humored.